With their wide hats and black clothing, the Hakka are one of China and Hong Kong's most visibly distinct communities. While they aren't a different ethnic group - they are part of the Han Chinese majority - they do have their own festivals, food, and history. They are most commonly referred to as the Hakka people. The estimated number of Hakka varies widely. There are believed to be 80 million Chinese who claim some Hakka heritage, although the number who state they are Hakka is significantly lower and the number who speak the Hakka language lower still. The strength of the Hakka identity and community varies greatly from province to province. Hakka means guest; a name given to a people who were China’s most enthusiastic settlers. The Hakka were originally from the north of China but over the centuries they were encouraged - by Imperial edict - to settle some of the further flung parts of the Empire. Famed for their farming prowess and also handy with a sword, the Hakka migrated in large numbers to southern China which is where they gained their name. The Hakka have their own language and it is still widely spoken. The language bears some similarity to Cantonese – although the two are not mutually intelligible – and there are also shared influences with Mandarin. With so much migration over such a long period of time, various dialects of Hakka have emerged and not all are mutually intelligible. Like other Chinese languages, Hakka relies on tones and the number in use for different dialects varies from 5 to 7. For many, Hakka culture means Hakka cuisine. While often influenced by the region where they have settled, the Hakka have some distinct flavors – often salty, pickled or with mustard seeds – and some distinct dishes such as salt-baked chicken or pork belly with mustard greens. You’ll find restaurants serving Hakka cuisine in Hong Kong, Taiwan, and many overseas Chinese communities. Beyond the food, the Hakka are also famed for their distinct architecture. When they arrived from Northern China they set up walled villages to stop attacks by other Hakka clans and the locals. Some of these have survived, especially the walled villages of Hong Kong. The Hakka also have a distinct dress marked by modesty and frugality, which mostly means lots of blacks. While it’s rarely seen anymore, the most characteristic dress is that of older women in deep black dresses and wide-brimmed hats that were originally designed to beat back the sun when working in the fields. Where Are the Hakka Today? Most of today’s Hakka people still live in Guangdong province and Hong Kong – an estimated 65% - and it is here their culture and community remain strongest. 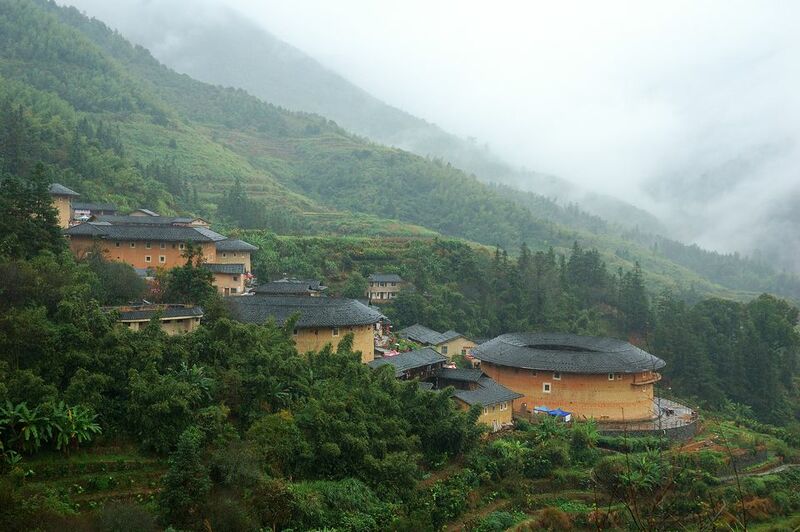 There are also substantial communities in surrounding provinces – most notably Fujian and Sichuan. Just as their name suggests the Hakka are eager immigrants and there are communities in the US, Britain, Australia, Singapore, Taiwan and many, many other countries. The Hakka remain a large minority in Hong Kong. Until the 1970s much of the community remained involved in farming and lived as enclosed communities – often in villages in northern Hong Kong. Hong Kong’s fast-paced change; the skyscrapers, the banks and the sheer growth of the city mean much of this has changed. Farming is little more than a cottage industry in Hong Kong and many young people are attracted to the bright lights of the big city. But Hong Kong still remains a fascinating place to encounter living Hakka culture. What Is the Official Language of Hong Kong?